Born and raised in Sarajevo, Bosnia, Vedran is a New York City based artist with passions for ink drawing, media arts, and street art. Working with colorful India inks, his highly intricate and symbolic works examine the dimensions of human spirit and the complex world that it inhabits. 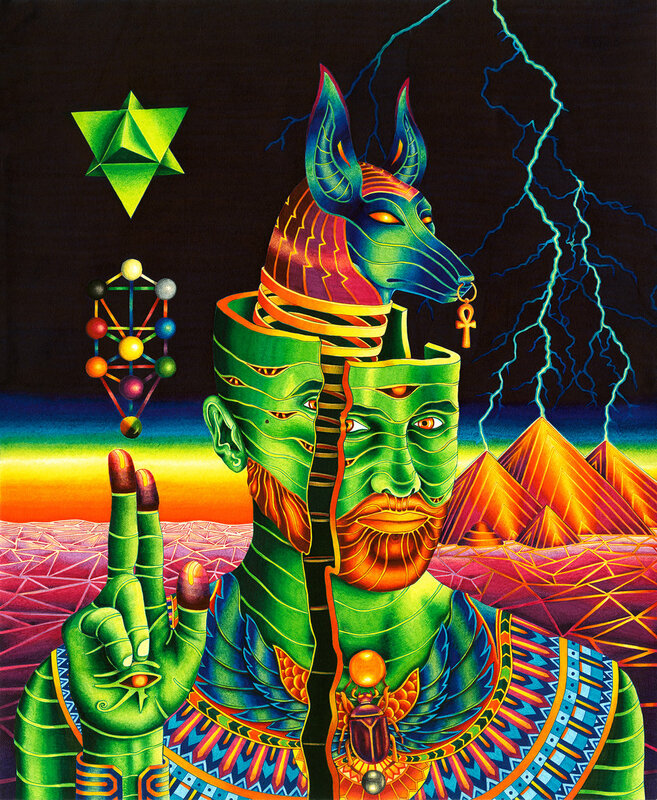 Using surreal and psychedelic motifs, his drawings explore the metaphysical and seek to capture the often imperceptible geometric systems that permeate through all of nature. While these works stem from the ideas and experiences of adult introspection, they are layered with vibrant colors and fantastical elements that evoke a childlike awe of the magic and mystery of the world. Vedran holds BFA in Graphic Design from New York Institute of Technology, and has completed silkscreen, drawing, and painting classes at the School of Visual Arts.